Listed below is a Top 20 “hot list” of the things that headhunters look for in the LinkedIn profiles of senior executives and technologists for their corporate clients. In fact, one Fortune 100 client counted among the “Best Companies to Work for” uses the same criteria as a hard filter to determine who will move forward as a candidate and who will be eliminated from consideration. While every industry has its high-profile VIPs, the best and brightest are not so easy to find. Often, the usual suspects turn out to be empty suits or executives that have lost their mojo. That’s where headhunters come in. A former investigative-journalist-turned-investigative-recruiter, I look for clues to locate and calibrate top talent. In doing so, I seek off-radar luminaries and up-and-coming stars who may not be as adept at self-promotion. Frequently, gifted technologists become so engrossed in inventing the Next Big Thing that they operate in perpetual stealth mode. Many do not hang out on LInkedIn. However, common sense would suggest if you want to get ahead, it shouldn’t require detective work to discover you. If you have worked hard to become the best, it makes little sense to undermine your own success with a neglected and outdated LinkedIn profile. 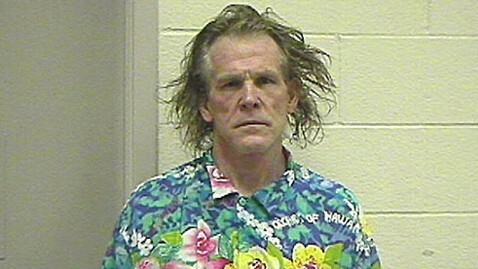 Worse, you can do real harm to your chances of advancement with a LinkedIn profile that is so haphazardly slapped together that it is riddled with typographical errors and topped off with an unprofessional photo that more resembles a Nick Nolte mug shot. Conversely, even if your LinkedIn profile is pretty polished and complete, you should double-check to make sure you haven’t left out something important. For instance, you may not think your high GPA and academic honors are worth mentioning on LinkedIn — in fact, you may find it a tad obnoxious to overtly tout achievements in so public a place. However, your ideal next employer may quietly exclude you from consideration if you fail to list those very achievements on LinkedIn. So grab a cup of coffee, pull up your LinkedIn profile, and then step through the punch list below to see if there is anything you’ve overlooked and then, if needed, pop in a detail or two. It takes but a minute, but the effect is lasting. It functions as your virtual publicist and agent round-the-clock. Moreover, the benefit extends beyond impressing executive search consultants and prospective employers. It raises your profile and stature in your current role — so that good things come your way. Up-to-date title, employer, and location.